For the first time ever, the earliest recordings of America’s greatest band! 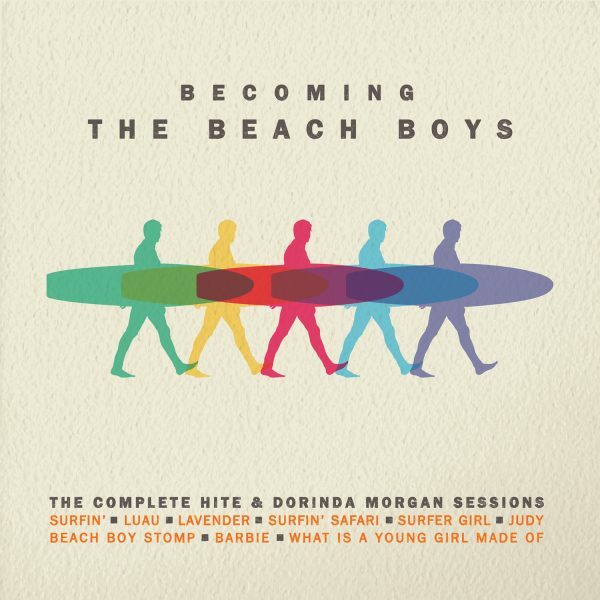 In September of 1961 Al Jardine, Brian Wilson, Carl Wilson, Dennis Wilson, and Mike Love stepped up to a microphone together for the first time at the home of Hite and Dorinda Morgan to demo The Beach Boys’ first three songs. Between that September date and March 1962, before signing a seven-year contract with Capitol Records on May 24, 1962, they committed nine songs to tape under the direction of Hite and Dorinda Morgan. 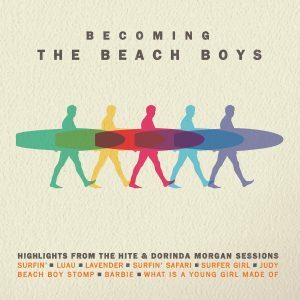 Some iconic, others obscure—“Surfin’,” “Luau,” “Lavender,” “Surfin’ Safari,” “Surfer Girl,” “Judy,” “Beach Boy Stomp” (aka “Karate”), “Barbie,” and “What Is A Young Girl Made Of”—Every complete take, false start, master take, and every second of studio banter during these historic recordings is gathered on this landmark collection, Becoming The Beach Boys: The Complete Hite & Dorinda Morgan Sessions. In these 62 recordings, with over 40 tracks previously unissued, the genesis of one of the greatest vocal groups of the 20th century can be heard. The liner notes detail the origins of the band and their earliest songs, and the booklet includes photos of the early rare records drawn from these recordings, as well as tape boxes from the sessions. With a career spanning 55 years, The Beach Boys have sold more than 100 million records, charted over 80 songs worldwide, had 36 U.S. Top 40 hits, and are widely recognized as one of the most critically acclaimed and influential bands of all time. They were inducted into the Rock and Roll Hall of Fame in 1988 and the album Pet Sounds has been preserved in the National Recording Registry by the Library of Congress and inducted into the Grammy® Hall of Fame. In 2001, the group received a Grammy® Lifetime Achievement Award.